The digital world’s gone analogue. The latest shooters, role-play games and racing simulators demand controllers with precise analogue sticks that can be reached in a flash. Now, at last, the XEOX Pro Analog Gamepad brings two perfectly positioned easy-access sticks to the world of the PlayStation® 3 for the first time – for truly professional analogue gaming. What’s more, its Li-Polymer battery and 2.4GHz wireless technology offer total freedom from the console – while the Turbo function for controlled rapid firing offers a decisive tactical advantage. The entire surface of the ergonomically optimized pad is finished with a grippy rubber coating – just like you’d expect from a professional gaming device. 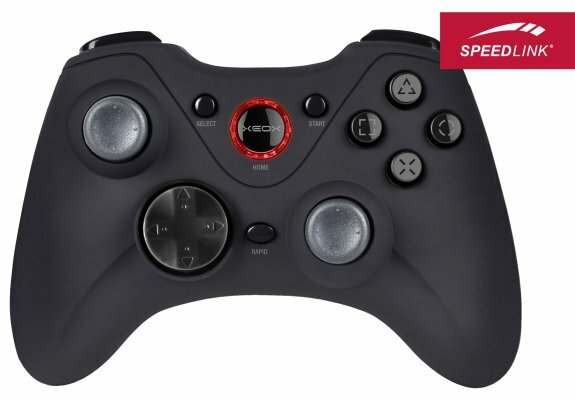 The SPEEDLINK® XEOX Pro Analog Gamepad – Wireless for the PS3® is available now and is priced at €34.99 (RRP). Finally, control of the analogue world of the PS3® is within grabbing distance.